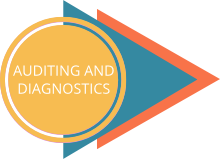 The success of every construction and renovation project relies on the quality of the auditing and diagnostic phase enabling the future plan of action to be defined and perfected. 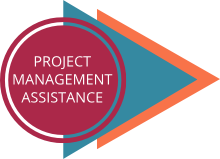 This phase aims to foresee certain problems, identify improvements and optimise the project outcome. Our team will work on all the challenges connected to a construction project and ensure coherence in expectations, current status, current regulations, the management process and the coordination of the various stakeholders involved. Assets: audit of existing buildings to establish a multi-year building plan, but also to define opportunities to add value to the asset. Technical: specifying the investment type, validating health and safety compliance etc. Energy: improving the energy efficiency of the buildings by carrying out a survey of the structures and identifying possible cost savings. Organisation: with a building for professional purposes, assisting management in implementing the human capital requirements and the distribution of competencies at the core of the different units within the building. Accounting and finance: account auditing, investment planning, debt capacity etc. Social and Human Resources: assessment of the current policy on salaries, training, recruitment and career promotion, environmental relations etc. IT systems: assessment of IT and communication functions. Administrative and medical as well as the processes. 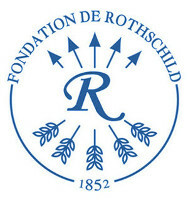 On behalf of the Rothschild Foundation the M&G Group carried out a full assessment of the assets for 9 establishments, including France’s largest residential care home, structures for autistic children and adults, crèches for disabled children, as well as career guidance and re-education centres for teenagers in difficulty. Hired for its expertise in asset audits, Human Resources and IT systems, the M&G Group brought together a team of 5 people for a year to assist the foundation in adapting its structures to future healthcare challenges (dependency, disabilities etc).